There are days where you breeze through easily, and there are some that you’re dragging your feet along because your mind just doesn’t function as usual. When brain fog hits, the common suspects are stress or anxiety if you’re living a high-paced lifestyle. But if you’re feeling quite relaxed in recent days and yet, you’re struggling with focus and clarity, you may want to look into what you’re putting into your body. Chances are, your choice of food may be the culprit of your latest bout of mental fog, which leaves you disorientated the entire day. Unfortunately, some foods which may delight your taste buds may contain components that will plunge your mind into a state of dullness. Here are what you want to be aware of the next time you take a spoonful of your favorite delicacy. Unless you’re gluten-sensitive, you may not be familiar with the term at all. In general, gluten refers to a group of proteins commonly found in wheat, and other grains like barley or rye. It is responsible for forming the sticky texture of the dough and defines the shape of pastries. Some people experience a chronic case of gluten-intolerance, which is diagnosed as Celiac disease. This often leads to a series of complications when the immune system treats gluten as an invader and start attacking it. The result isn’t pretty, with the small intestine getting damaged over time. Even if you’re not suffering from Celiac disease, you may have negative reactions to gluten. There are moments where you could feel depressed, anxious or having brain fog after taking your favorite bread. Coffee lovers may feel it unfair that the blame on brain fog is pinned into their regular shots of espresso. After all, isn’t caffeine is a well-known booster that spikes up mental alertness? This is where most of us are mistaken. Caffeine is a natural stimulant that is present in various types of plants. It has a particularly high concentration in coffee beans and is also found tea and cocoas. While there’s no doubt that a single cup of coffee may jerk your mind out of drowsiness, excessive intake of caffeine will have a reversal of effects. You don’t have to quit taking caffeine, as it does have positive effects on your health when taken moderately. The trick is, to know what is the limit of caffeine you should allow yourself to consume daily. While Mayoclinic recommends 4 cups of brewed coffee as a threshold, individual tolerance for caffeine varies. If you’re suspecting that caffeine is ruining your focus, try cutting the amount until you find the quantity that doesn’t mess up your mind. If you think that having a slice of cheesecake would have cheered you up? Well, you may be in for a rude surprise. 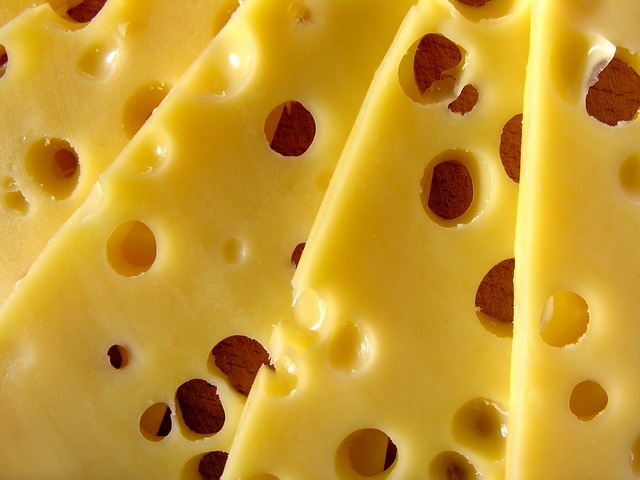 Cheese, milk and other dairy products contain casein and whey protein which may trigger allergic reactions in some dairy-sensitive individuals. A clinical study conducted by immunologist expert, Dr. Aristo Vojdani, has found that dairy intake triggers a reaction in the brain termed neurological autoimmunity. It is a condition where the immune system starts attacking the brain and nerve cells of people who are sensitive to dairy. Does this mean you have to do without your favorite cheesecake? Well, if you’re having trouble to focus because of dairy products, you’ll want to stop taking them and seek alternatives like vegan cheese, which is free from dairy. Sipping into a can of Coke, or other carbonated drinks sure give you the thrill at the moment. But make it a habit and you’ll find the artificial sweeteners in the drink starts dulling your mind. It is common knowledge that carbonated drinks or other products filled with artificial sweeteners aren’t the healthiest choices for you. When you take a sip of Coke, you are taking in aspartame, a commonly used artificial sweetener in other products as well. Aspartame is notorious for its brain-damaging capability, as it kills off healthy brain cells when it was processed in the body. Often used as a sugar replacement in drinks, aspartame is linked to degeneration of brain health and is associated with a series of disorders like anxiety and depression. It wouldn’t be surprising that you’ll experience brain fog if you’re consuming aspartame-sweetened drinks on a regular basis. Can’t party without liquor? Or do you turn wines into sleeping aid? While consuming alcohol in moderation may help you to relax and grant you health benefits, excessive consumption can induce brain fog and more. 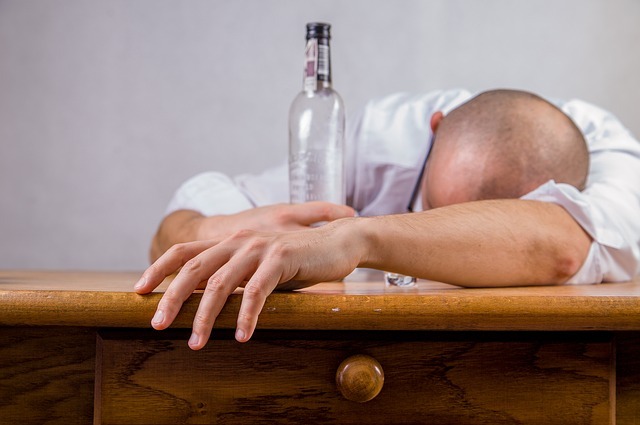 Alcohol affects various parts of your brain which lead to a sluggish, unfocused and clouded mind. The cerebral cortex is affected and that causes you to have a problem in processing new information. Besides, your memory faculty that lies in the hippocampus is also disrupted by alcohol. To top that, alcohol also contains gluten and histamines, both known-compounds that are known to induce brain fog. The next time you’re about to open a can of beer, ensure that you have nothing on the next day that requires serious brain-crunching effort. Right. MSG or monosodium glutamate is the turned to rescuer when you’re about to screw up with cooking a tasteless broth. While there’s no doubt that adding a touch of MSG can work wonders on food, this food enhancer may lead to the destruction of healthy brain cells. 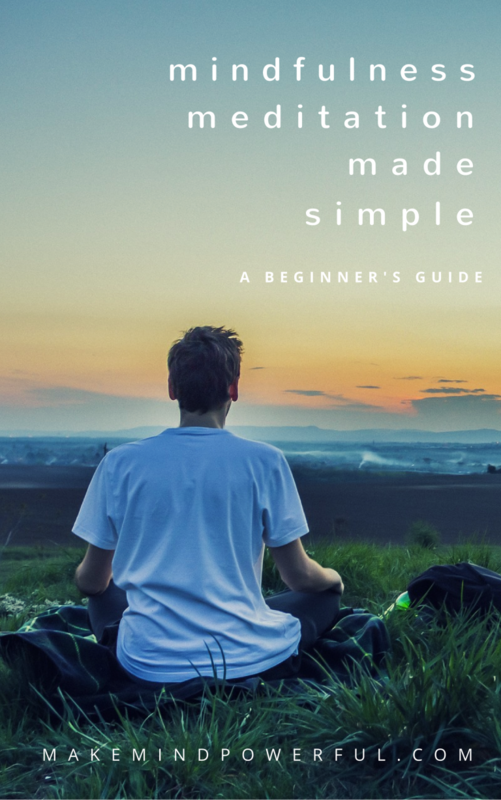 MSG is also commonly found in pre-processed food, and when processed in your body, it leads to an excessive level of glutamate, a neurotransmitter in the brain. Besides leading to a toxic state of brain health, MSG also robs the effectiveness of other antioxidants present in the body. The next time you shop for canned or express food, look out for MSG in the labels. It wouldn’t hurt to pick up a few simple recipes on the internet which are edible without any added MSG. There’s the good and bad about histamines. It acts as a protective mechanism when your body came into contact with allergens like pollens and pet danders. Histamines help to remove these alien particles from your body. However, when produced or consumed in an excessive amount, a high level of histamine can lead to complications like brain fog. Some foods contain a high level of histamines, which compound those that are produced naturally in your body. If you’re a fan of fermented foods or red wines, you may find that brain fog often follows after enjoying your meal. Changing your diet isn’t an easy task, especially when you’re a die-hard fan of certain foods. But if you’re often troubled by brain fog, you need to be aware of what you’re putting into your body to regain focus and mental clarity. 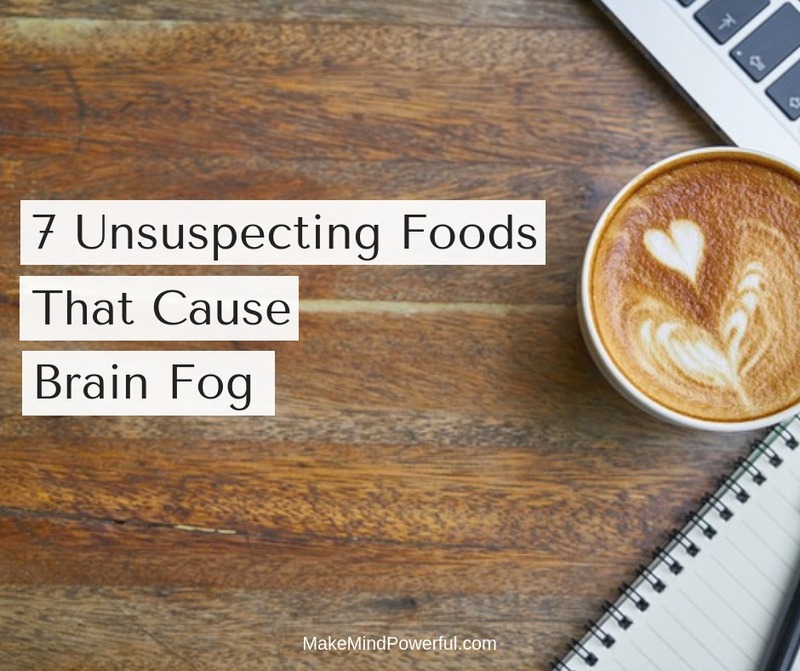 Do you suffer from brain fog? Are any of these foods disrupting your mental sharpness? Share your thoughts in the comment below.